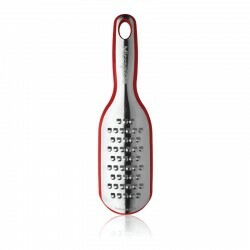 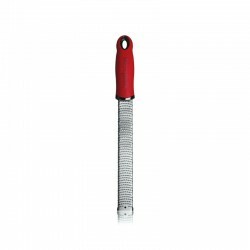 Red extra coarse grater in stainless steel. 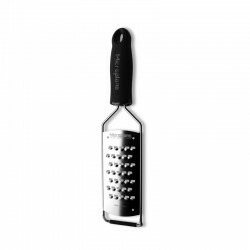 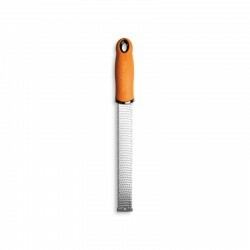 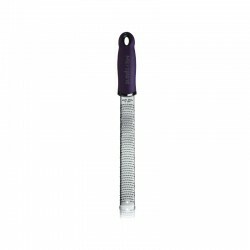 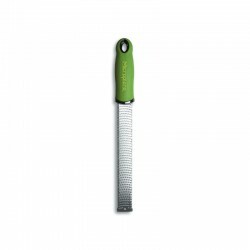 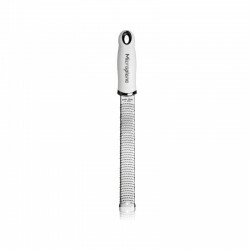 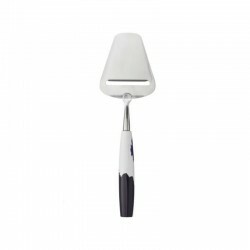 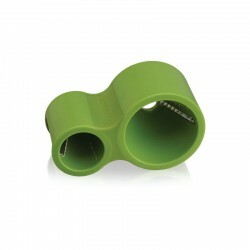 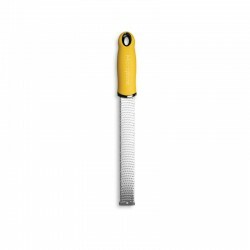 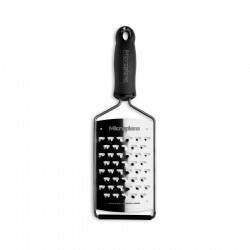 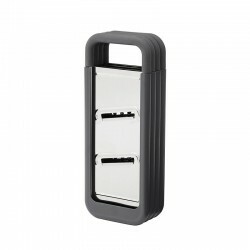 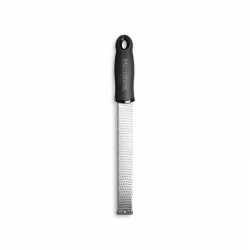 With the photo-etched, razor-sharp extra coarse blade - Made in USA - precisely cut zucchini, cucumbers, apples, cabbage, soft and hard cheese, potatoes, chocolate and more in long, smooth strips.The Elite grater comes with a reusable, transparent protective cover which also acts as the reservoir to catch grated food. 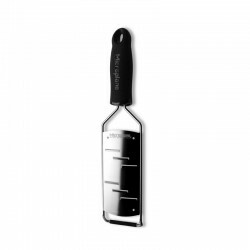 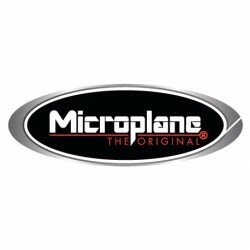 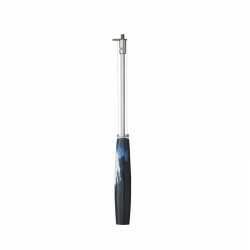 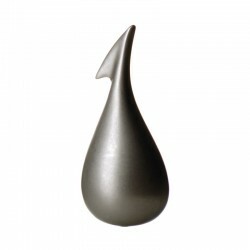 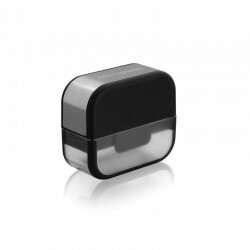 Quantities are also marked on the cover to allow for use as a measuring cup. 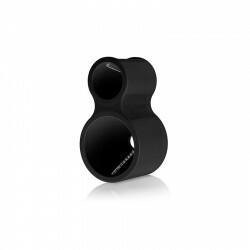 The Elite Series was awarded with an honorable mention in the Red Dot Design Awards 2013.